The perfect place to greet friends or simply to relax and watch the world go by. A comprehensive beverage list with a creative snack menu is available at all times. Daily Chef's Special", made from the freshest ingredients. 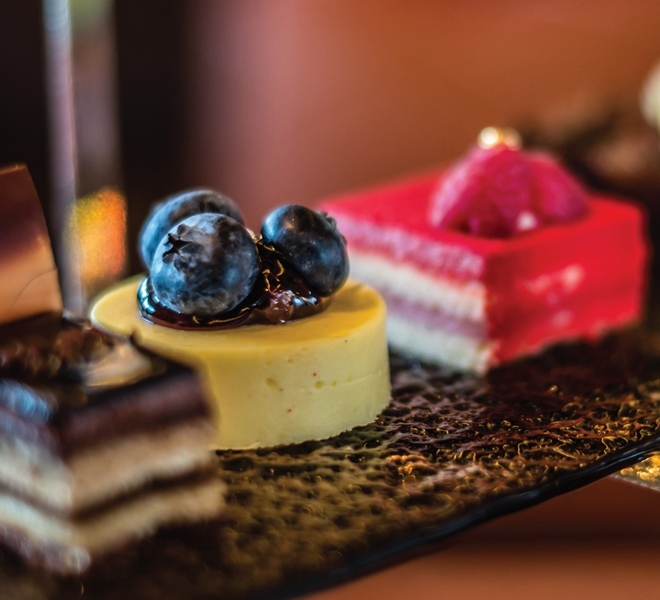 Enjoy any occasion by relaxing in The Lounge and treat yourself to a sumptuous afternoon tea set at MOP158* per person. Sip in one of our 88 Special Martinis while relaxing in our cozy atmosphere 7 nights a week. Featuring one special martini each week to elevate your spirits!